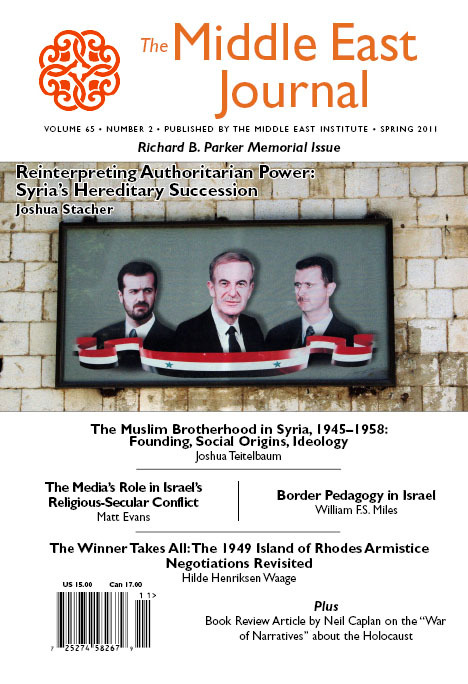 Joshua Stacher, "Reinterpreting Authoritarian power: Syria's Hereditary Succession." On the Asad succession and how to understand it. Joshua Teitelbaum, "The Muslim Brotherhood in Syria, 1945-1958: Founding, Social Origins, Ideology." History of the Syrian Muslim Brotherhood's origins and ideology down to the 1958 union with Egypt. Matt Evans, "Exacerbating Social Cleavages: The Media's Role in Israel's Religious-Secular Conflict." The haredi/secular divide and how newspapers reflect it. William F. S. Miles, "Border Pedagogy in Israel." A study of geography texts and atlases and how they reflect the ambiguity about borders. Hilde Henriksen Waage, "The Winner Takes All: The 1949 Island of Rhodes Armistice Negotiations Revisited." Using newly available sources, a Norwegian historian plumbs the papers of UN Secretary General Trygve Lie as well as those of other participants to study the negotiating history of the Egypt-Israel armistice negotiations on Rhodes. And of course, as always, our Book Reviews cover the field, with a main review article by Neil Caplan dealing with books on competing narratives of the Holocaust, while our Chronology continues a record begun in 1947. You can buy individual articles or the whole issue at the site, but you'll save money money by subscribing or joining MEI, which includes online access and downloads. I've heard something about a wedding in London today, but to avoid a haunting by my Irish ancestors I won't comment at length, except to remind everyone of one Middle East connection: the groom has several distinct descents from the Prophet Muhammad, some of them pretty solidly documented. I'm willing to bet this is the one piece of Royal trivia that doesn't get mentioned much in the wall-to-wall coverage in Western media. Anyway, she [Queen Elizabeth II] apparently doesn't just have just one descent from the Prophet, but multiple lines of descent through several of his children and through several of QEII's own rather varied ancestral lines. Here's one version of her several lines. There are lines from the Prophet's daughters Ruqayya and Umm Kulthum, and a couple of lines through his grandson Hussein (so she could add "Sayyida" to her royal titulature), one of which also passes through the line of the Shi‘a Imams to the 10th Imam (and a sister of the 11th), and yet another through Hussein's brother Hasan (so she's also a Sharifa), and some other variants of these. And that is the extent of Royal Wedding coverage in this blog. The BBC offers a useful guide to who's who in Syria's inner ruling circle. Most of them of course are security/intelligence/military types (and Syria has a lot of overlapping security agencies), but it's a useful summary of the men around Bashar al-Asad, some of whom may be making the real decisions in this period. Qifa Nabki calls this (via Facebook) a "must read". He's right. A Syrian father defends his gay daughter against security men, and improbable as it may seem, shames them. Mature subject and strong language warnings, but indeed a must read. And as she says, a hero indeed. And a father who understands the meaning of the word. I haven't said anything about the Fatah-Hamas deal because it's very early to judge its full implications. The Egyptians are going to help implement it, but whether the deal will hold and a national unity government can be formed remains to be seen. Israel is saying it won't talk to a government that includes Hamas, but the two sides weren't really talking anyway. Fatah is saying Mahmoud ‘Abbas would continue to lead the peace talks, but that may not be enough. Also, what does Hamas get? If it gets to name the Prime Minister, that would move Salam Fayyad, who's the favorite of the US and Europeans, out of that job, though he could still run the West Bank economy. 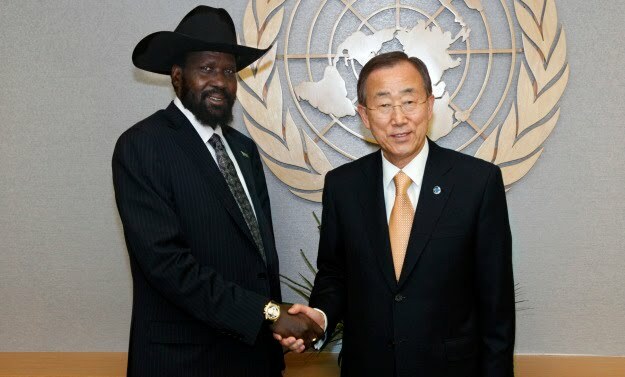 Given the stasis in the peace process, this deal could prove a positive step or a negative one. Or just another short-lived "reconciliation" that falls apart quickly. This should stop the Asad regime from slaughtering its own people: Britain has disinvited the Syrian Ambassador from the Royal Wedding. Qifa Nabki offers a collection of interesting and thought-provoking links on Syria. Of course anyone with more than a casual interest in Syria should be following Josh Landis' Syria Comment on a daily basis, and Marc Lynch, who doesn't post as much as he used to but always has something to say, has checked in on Syria. Syria, which used to claim to be the "beating heart of Arabism" (qalb al-‘uruba al-nabid, a phrase once used by Nasser about it), but today it is the primary Arab ally of non-Arab Iran, and has uncomfortable relations with most of its Arab neighbors. There's a clear sectarian undercurrent in the uprising, with Syria's Christian population tending to side with the ‘Alawite minority that runs the regime and the army, fearing the alternative is Sunni Islamists. I was always a skeptic about the Egyptian regime's effort to use an Islamist bete noire to maintain its power, but Syria's more complex confessional (Sunni/‘Alawite/Christian Druze) and ethnic (Arab/Kurd) mosaic complicates the issue. See also my earlier links collection on this. Al Jazeera, both Arabic and English, has suspended operations from its Damascus bureau due to harassment and threats. English servicr correspondent Cal Perry was kicked out over the weekend; his account of trying to leave via Jordan, encountering the confrontation at Deraa, and having to reverse course to Lebanon is here. Blaming the messenger continues to be popular. Here's a report by Ammar Abdelhamid at Al Jazeera on rumors about a possible Army mutiny in Deraa. In the age of Twitter rumors can spread very rapidly, and there's no confirmation. Syria is bleeding; Libya is bleeding; Bahrain is shut down tight. There is real hope in Egypt and Tunisia, light at the end of the tunnel (maybe) in Yemen. Israel and Palestine are frozen in their negotiations. Iran is divided; Iraq still insecure; Afghanistan at war. What to say? We could use a little light relief from the heavy stuff. 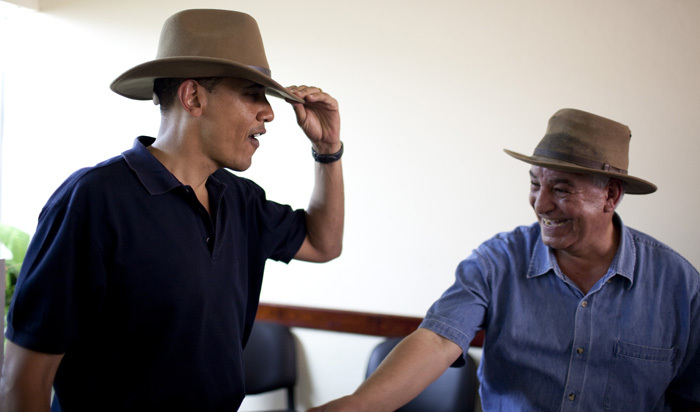 Foreign Policy has posted a "photo essay" called "Once Upon a Time in Egypt." You need to click through nine pages of photos. There's nothing scandalous about the photos. Just folks on a beach in bathing suits in 1959. Bathing suits that, having been around in 1959, would have been considered modest in Joplin, Missouri, where I was at the time. My Mom wore bathing suits like these. But for some reason Foreign Policy has subtitled this thing "Beaches and Bikinis from when Alexandria was Club Med." I'm shocked, shocked! But only if you're in the Taliban. "Beaches and bikinis?" I see only one two-piece bathing suit in the collection of pictures, and it's not that revealing. I guess we should be grateful they didn't label it "Burkas and Bikinis," since nobody in Egypt uses the word burka, or wears one. I've never been to a Club Med, but if it doesn't get any more risqué than this, I'll stick to the neighborhood pool. The late 1950s marked the end of an era in Alexandria that had begun in the late 19th century, when the port -- then the largest on the eastern Mediterranean -- emerged as one of the world's great cosmopolitan cities. Europeans -- Greeks, Italians, Armenians, and Germans -- had gravitated to Alexandria in the mid-19th century during the boom years of the Suez Canal's construction, staying through the British invasion of the port in 1882 and the permissive rule of King Farouk in the 1930s and 1940s. Foreign visitors and Egyptians alike flocked to the city's beaches in the summers, where revealing bathing suits were as ordinary as they would be extraordinary today. But by midcentury, King Farouk -- a lackadaisical ruler in the best of times -- had grown deeply unpopular among Egyptians and was deposed in a CIA-backed coup in 1952. Cosmopolitan Alexandria's polyglot identity -- half a dozen languages were spoken on the city's streets -- and indelible links to Egypt's colonial past were an uncomfortable fit with the pan-Arab nationalism that took root under President Gamal Abdel Nasser in the late 1950s and 1960s. "[W]hat is this city of ours?" British novelist Lawrence Durrell, who served as a press attaché in the British Embassy in Alexandria during World War II, wrote despairingly in 1957 in the first volume of The Alexandria Quartet, his tetralogy set in the city during its heyday as an expatriate haven. "In a flash my mind's eye shows me a thousand dust-tormented streets. Flies and beggars own it today -- and those who enjoy an intermediate existence between either." By the time of Hosni Mubarak's rule (and largely in response to his secularism), Egypt's second-largest city had become synonymous with devout, and deeply conservative, Islam. Well, they had to get Durrell in here somewhere, since the image of the Levantine, "polyglot" to use their word, and rather decadent and lascivious Alexandria of the Quartet is a seductive image, but even by 1959 that world, so far as it ever really existed, was already long gone. There was still a real cosmopolitan city, but Durrell's world was always limited to a largely non-Arab upper class. Let's also note that the folks in this photo belong to a class of their own. The American visitor is a Sephardic Jew of Egyptian background; his apparent significant other is named Odette Tawil and, while the name Tawil tells us little, the name Odette suggests a minority orientation (Copt, Jewish, Maronite). But then I trip over the statement that King Farouq "was deposed in a CIA-backed coup in 1952." I know the CIA tried to cuddle up to the Free Officers after the coup, but who believes the coup was "CIA-backed?" By the time of Hosni Mubarak's rule (and largely in response to his secularism), Egypt's second-largest city had become synonymous with devout, and deeply conservative, Islam. Whoa, Nellie. We're blaming this on Mubarak? Oh, sure, he's responsible for 30 years of stasis, nepotism, and oppressive rule; for corruption, killing of demonstrators, and complete obtuseness to the aspirations of his people. But you're going to blame him for the disappearance of bikinis, too? Let me start with two isolated memories. Personal anecdotes are hardly historical research, and these are isolated experiences. In the Summer of 1972, my first year in Egypt, I had a three-month temporary membership to the Gezira Club in Cairo, the old Sporting Club of the British era. It's now the hangout of the Cairo elite. At the pool there, one saw plenty of young, elite, Egyptian women in bikinis. Yet on my first trip to Alexandria, which the above post seems to say was much more open till Mubarak, I saw for the first time women in abayas, the traditional black women's dress, bathing in the sea fully clothed. Alexandria even then seemed more conservative than Cairo, but I may have been using a skewed sample. The Only Two-Piece in the lot seems to be Ms. Fourth from Left. Does this justify the "Beaches and Bikinis" subtitle? 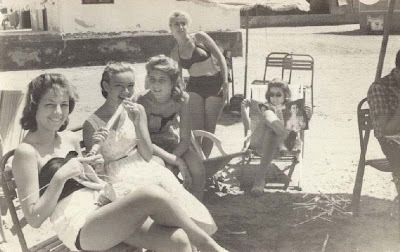 Foreign Policy runs a series of photos of Alexandrian beaches in 1959, "when Alexandria was once Club Med." But, "by the time of Hosni Mubarak's rule (and largely in response to his secularism), Egypt's second-largest city had become synonymous with devout, and deeply conservative, Islam." Except in fact, Alexandria today is probably Club Meddier than it ever was. The only difference between then and now is that while in the 1950s, the party scene was east of the inner harbor (and was then mostly restricted to non-Muslim minority communities), the last time I went out carousing in Alex the party scene was west of the inner harbor, in Agami, and Muslims were fully represented among the scantily-clad, Heineken-drinking gilded shabab. It's true that the Ikhwan are strong in Alexandria. But -- and someone more familiar with Alexandrian history may correct me -- I doubt that the changes in eastern Alexandria's beach scene had much to do with an Islamic or any other reaction against Hosni Mubarak's "secularism." Rather, they had to do with demography: Nasser squeezed out the minority communities and people from Delta villages moved in, as part of the general trend of rural migration to the cities. A significant proportion of the beach front was taken and given to professional syndicates, which tended to attract a more family-oriented crowd. The party scene then picked up and moved moved 20 kilometers to the west. Or, given that more people have cars now than they used to, beach-crazy shabab simply go to the Sinai or Hurghada. I don't want to give Nasser a pass on his appalling xenophobic policies, but I suspect that the decline of beer and bikinis in eastern Alexandria would have happened anyway. There's a general and I think erroneous trend to use pictures from the past to suggest that Egypt has become a lot more conservative. It's a bit like watching high society movies from the Depression, and concluding that Americans are a lot poorer today than they were in the 1930s. Yes, young Egyptian women from the 1950s were occasionally photographed wearing miniskirts, whereas today you see a lot of the women downtown wearing hegabs. But those young miniskirt-wearing women from the 1950s represent probably the very top of the social pyramid, whose equivalents today are traveling or working abroad on their own before marriage or otherwise acting in a way that would give a 1950s patriarch an aneurism. I'd even be willing to bet that most of the 1950s elite had less autonomy than all today's middle classes -- who, whether or not they choose to wear a hegab, are out working jobs, choosing their own boyfriends/marriage partners, and creating revolutions. I think he nails it here. And, while I haven 't been to Egypt for some years, I have to note that if Alexandria is no longer Club Med, there are actually three real Club Meds in Egypt, in Sinai, Luxor, and on the Red Sea. The pictures from 1959 no more show everyday Egyptians than do those of the modern Club Meds. The elites, especially the old Levantine elites, always were a separate force. 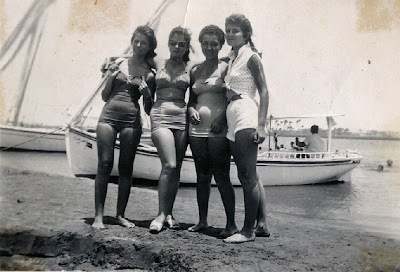 Bikinis may not be as common in Alexandria today, but on the Sinai and Red Sea Rivieras, they are universals. When Israel was about to return Taba in Sinai to Israel, an Egyptian official said something along the lines of, this will make no change, Israelis will still be welcome, the only change is that the girls will have to keep their tops on. So we are left with a bunch of photos of people on a beach in 1959, and a whole lot of heavy duty over-interpretation. That's Herman Melville's poem "The Martyr." It was about the assassination of Lincoln, which also occurred on Good Friday, the day the Syrian carnage began in earnest. The images of dead civilians and especially dead children coming out of Syria are too intense for me to reproduce some of them. I asked a while back "Can the Opthamologist [Dr. Bashar al-Asad] Read the Handwriting on the Wall?" It reads, "Your turn has come, O Doctor." Ajak al-Dor ya Doktor. I'm starting to think Asad is burning bridges, cutting off his own hopes of exit. If he plays the hand his father (and even more, his Uncle Rif‘at) played in Hama in 1982, I think he is less likely than they to get away with it. He and Qadhafi right now seem in a race to see which becomes the first Ceausescu of the Arab Spring. And he was the young, enlightened, promising hope of the younger generation, or so we were told. But then, so was Saif al-Islam al-Qadhafi. ...Here's an Al Jazeera English report on the mountain fighting. I'm going to be busy much of today at a Conference at National Defense University, with no real access other than through my phone, which is hard to blog on, so I'm pre-scheduling this post. I may have more by evening if it's an eventful day. The other day I noted that the war in the Jabal Nafusa in Libya has an added dimension, the ethnic/linguistic one, in that this is the most "Berber" (Amazigh, Imazighen) area of Libya, though there are other enclaves as well. That post contains earlier links referring to the Imazighen and the Tamazight language in Libya. I thought I'd add more on the subject. Revolutionaries in the Nafoosa Mountains, located south west of Tripoli, sing together around a campfire. 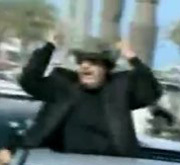 This region has been under bombardment by tanks shells and rockets after they rose up against Gaddafi's dictatorship. The campfire singing is in Tamazight, or "Berber," and the folks are from Jadu. Below the video you'll find translations in English and Arabic. As the Arabic and one of the comments note, it's an existing song with special words. وفي الختام سوف تتحرر ليبيا ونعيش في حب ووئام . Summary: Despite some evidence in 2007 of a thaw in Libya's decades-long marginalization of its Berber minority, the Government of Libya (GOL) has recently renewed its vigorous denials that any ethno-linguistically distinct Berber communities exist on Libyan territory. In May, Libyan leader Muammar Qadhafi made an unprecedented visit to the Berber heartland to praise the "Arab belonging and destiny" of the Libyan people, and to decry "foreign intelligence plots" to fracture Libyans along ethnic or sectarian lines. Post's efforts to visit areas with significant Berber populations and to meet with government officials to discuss Libya's Berber heritage have met with angry GOL denials and accusations of "unacceptable interference" in Libya's domestic affairs. The GOL took the unusual step of forbidding all Embassy personnel from visiting the town of Zuwara, a large Berber community. The GOL's hard line on Libya's Berber minority underscores that sectarian and ethnic identity remains a sensitive issue for influential elements of the regime. End summary.
. . . In May 2008, Libyan leader Muammar Qadhafi himself made an unprecedented visit to meet with a number of ostensibly Berber tribes in Jadu; however, in contrast to Saif al-Islam's travels, Qadhafi used his May 17 visit to vigorously deny Libya's Berber history. According to accounts in state-owned media, representatives of prominent Berber communities, including the Berber centers of Nalut and Kabao, issued a statement on the occasion of Qadhafi's visit praising the "Arab belonging and destiny" of all Libyans and rejecting "claims propagated by the envious agents of the West and its intelligence bodies to divide~ [Libya] under false ethnic, sectarian, and tribal slogans". 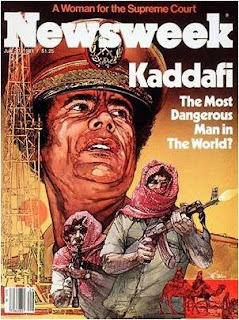 A contact of the Embassy whose family hails from the Jadu area said that Qadhafi had privately warned the leaders of the community that, "You can call yourselves whatever you want inside your homes -- Berbers, Children of Satan, whatever -- but you are only Libyans when you leave your homes." "Children of Satan?" Well, that's certainly a sign of growing openness. I would also refer you to this post at Language Log and to Lameen Souag's post I've linked to before, for more on Berber identity in Libya. Also see this background piece at Arab Media and Society from 2009, before the present troubles, and a more recent one from Muftah. And here's a related Facebook page. I am not suggesting that Berber/Amazigh nationalism is a major element in the Libyan war, even in the Nafusa, but is one more complaint in the litany of complaints the rebels bring. Multiple reports and YouTube videos show Syrian use of heavy armor in today's Army occupation of Deraa; there are reports that the Army has fired on anyone on the streets. At least 25 dead by early reports. A month ago I said "it isn't 1982 anymore," referring to the infamous Hama massacre when 10,000 or more asre said to have died in the intense shelling of the city. I hope Asad is not about to prove me wrong. It's not just ANZAC Day, as noted in my previous post. In Egypt (and Sudan) it's also Sham al-Nassim, "Smelling the Breeze," a spring holiday I talked about at length a couple of years ago, and which may have Pharaonic roots. Though it always falls on Coptic Easter Monday, it is celebrated by all Egyptians. I refer you to my earlier posting for the details. Besides Sham al-Nassim, today is actually a double holiday in Egypt this year, since April 25 also marks Sinai Liberation Day. The gent at left is Yakup Satar, 1898-2008, who until he died at age 110 was the last Turkish (or more properly, Ottoman) veteran of World War I. Today is April 25, ANZAC day, the day when, 96 years ago, on April 25, 1915, British and Dominion troops landed on the Gallipoli Peninsula south of Constantinople (soon to be Istanbul). It became one of the greatest fiascoes, one of the most tragic debacles, of British operations in the First World War. The debacle was costly, and doomed the career of the First Lord of the Admiralty, Winston Churchill (though I hear he made a bit of a comeback later). It was one of the key campaigns in the First World War in the Middle East, and for all its stupidity and futility, it is easy enough to forget that it was the crucible that forged three great modern nations: Australia, New Zealand, and the Turkish Republic. A less-remembered incident a few years later completed the birthing, not only preserving the nascent Turkish state but also assuring the genuine independence of the British Overseas Dominions. That is what is remembered by the few who remember it as the Chanak Crisis. I can't think of a better way to mark ANZAC day than to remember the curious way in which three modern nations, one in the heart of the Middle East and the other two in the distant Pacific, began to forge their independent identities 96 years ago today. The idea itself was not, in theory, unsound. Churchill, as First Lord of the Admiralty, was already (as he would be again in World War II) thinking about what he would call the "soft underbelly of Europe." If the Royal Navy, the most powerful naval power on either side in the war, could run the Turkish Straits and take Constantinople, the Ottoman Empire would be cut off from its German and Austro-Hungarian allies, and the British and their Russian allies could dismantle it in detail, as well as create a new front against Austria. Churchill was not the only person to think the strategy a sound one; the Ottoman government, aware the Royal Navy was seeking to run the Straits, began preparing to move government papers to inland Anatolia. But that was not to be. 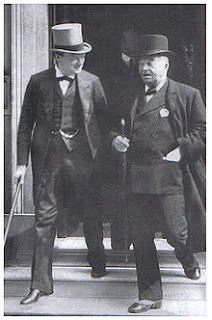 Churchill, as First Lord of the Admiralty, was the senior civilian in charge of the Royal Navy; the senior Admiral, the First Sea Lord, was Sir John ("Jacky") Fisher, pioneer of the Dreanought Battleship. The men did not agree on attacking the Dardanelles. Fisher would soon resign over the issue. In January 1915 the British Admiral on the scene, Vice Admiral S.H. Carden of the Mediterranean Squadron, began to put together a British and French task force (with one Russian ship) of battleships, submarines, and minesweepers. All were pre-Dreadnought class ships, and all outmoded. During February and March of 1915 the British probed the defenses of the Dardanelles with several intrusions. After several attempts at probing (losing any hope of the element of surprise), Carden was ordered to make a daylight attempt to run the Straits. He then fell ill. His successor, Rear Admiral John de Robeck, no enthusiast for the campaign, succeeded him. Meanwhile, on March 8, an Ottoman minelayer known as Nusret decided the Gallipoli campaign without knowing it. It laid a new minefield the British minelayers did not discover before the main assault on March 18. An unwilling commander with an aging set of ships made a botch of it. You can read about it here. Several ships were badly damaged and HMS Irresistable failed to live up to its name and, along with HMS Ocean and France's Bouvet, all went down. Three other ships were badly damaged. Though the Turks were expecting to a renewed attack and the US Ambassador to Turkey, Henry Morgenthau, expected in his diary that the Ottomans would give up Constantinople, Rear Admiral de Robeck balked at further attacks. Up to this point the battle was a case (like Desert One in Jimmy Carter's day with its shortage of helicopters) of not providing sufficient means; even so, many naval historians think the British could have run the Straits with their remaining ships. The Navy hesitated. Surprise had long sense been lost. It was decided to do a troop landing. Whatever hope a naval surprise had ever had of succeeding, the approach by land made even less sense. The naval battle was March 18. The landings were April 25. The British may have expected the Turks ti do nothing in the interim. They were disappointed. The Turks had managed to reinforce and entrench under a commander named Mustafa Kemal, soon to be Atatürk. The British had kept few modern ships from the Mediterranean Squadron because they were preoccupied with the (largely unrealized) threat of the German High Seas Fleet. Their own troops were mostly tied down on the stalemated Western Front; their Indian Empire's Army was bogged down in Mesopotamia (Iraq), so at Gallipoli they assembled a mix of British and Colonial (or Dominion) troops, largely the Australia and New Zealand Army Corps, whence comes the term ANZAC. The land battle was a debacle, but went on for much of 1915. As I noted in my earlier post on the ANZACs' last days in Egypt, however, it gave the Australians and New Zealanders an sense of national identity they had not previously had, and by increasing their resentment of Britain, which sent them foolishly to the slaughter, it made them more distinct from their mother country. But Mustafa Kemal's success, combined with disasters on the Russian/Armenian and Arab fronts, meant that he would be the sole Ottoman general to have a claim to recreating a new Turkey out of the ashes of the empire. And so not only Australia and New Zealand, but the Republic of Turkey itself, claim descent and identity from Gallipoli. The epilogue and coda to this story is a far lesser known event, in 1922, known as the Chanak Crisis. Mel Gibson starred in Gallipoli; if anyone has made a movie about Chanak, it's probably in Turkish. The Turkish town of Chanak (modern Çanakkale), lies close to the site of ancient Troy. In 1922, the advancing Turkish Armies under that same Mustafa Kemal, came to the boundary of the zone the British and French had declared their own around Constantinople. (Kemal rejected the terms of the Treaty of Sevres.) Chanak was controlled by the British. British Prime Minister David Lloyd George decided lthat war with Turkey was inevitable, an called on the Dominions for military support. Canada led the way in doing something the Dominions had never done before: saying no to the Mother Country. They'd just come through a four year war with great losses, and saw no issues of their own at stake in Britain's adventures in Turkey. Canada most loudly balked; Australia was reluctant, as was South Africa. New Zealand and Newfoundland (not then yet part of Canada) offered troops, but the Dominions' reluctance helped bring down the Lloyd George government. Mustafa Kemal won Constantinople, soon renamed Istanbul, and the Dominions moved rapidly towards real independence. Australia and New Zealand still see their national identities bound up with April 25, and the Republic of Turkey remembers it as well, for it propelled the father of the Republic to prominence. But in all three countries, the memory of April 25 is about remembering the men who fought there, Australians, New Zealanders, Turks and yes, even the British, though it's not a formative battle in their mindsl. Their war, the Great War as they quite rightly called it, is fading fast. As I write there are apparently only two acknowledged veterans of World War I still living, both British and both 110 years old, interestingly, one man and one woman. If Wikipedia is correct, there's also an "asterisked" Pole who joined after the Armistice but before the peace treaties, and who's 111. Soon, there'll be none. The last American doughboy died in February, at 110. Wikipedia also has a page on the last to die from each of the combatant nations. To return to my subject: the last Turkish veteran, Yakup Satar, shown above, served in Mesopotamia, not Gallipoli. The last Australian Gallipoli vet, a Tasmanian named Alec Campbell, died in 2002. He was 103, Though a Gallipoli vet, he didn't land there till November 1915. The last Aussie and the last Kiwi to land on April 25 died in 1997, both aged 101, and Australian Jack Ross, who enlisted in 1918 but never left Australia but still served in the Great War, died in 2009 at age 110. "Someday no one will march there at all." Men and women in the three countries (Turkey as well as the ANZACs) that were born from the crucible will march and remember, but those who fought there are gone. April 25 deserves remembrance, however. Barring major developments I'll be signing off for the Easter Weekend now. As I noted at the start of the week, the Eastern and Western dates for Easter coincide this year, and we are also in the middle of Passover, so greetings to Christian and Jewish readers, and even to folks who just like chocolate bunnies. Not only has Friday become the major day for demonstrations in the Arab Spring, and naturally enough the protests in Qena chose to stage major rallies today, but it is also Good Friday, East and West together this year, which added extra tension to the already tense sectarian situation in the Upper Egyptian city. In my background post earlier this week, I mentioned that the disputed Governor, Emad Mikhail, was about to step down. That report was untrue; the central government is holding firm on his appointment and saying that objections based on his religion are unacceptable. As I mentioned in that background post, Qena lies on the Nile north of Luxor, and the road and railroad from Cairo to Upper Egypt pass through it; the road from the "Red Sea Riviera" resorts like Hurghada joins the main road at Qena as well, so it is a chokepoint for transportation and tourism. Since the troubles began a week ago, the demonstrators have regularly blocked the railway, and occasionally have blocked the highway as well. Not only has the Coalition of January25 Youth denounced the Qena demonstrations (mostly for their sectarian flavor), but now the Muslim Brotherhood has also distanced itself; while it would prefer a Muslim Governor, it does not want to be perceived as supporting the disruption of the economy. Some further background over the days since my prior posting here, here, here, and here. Al Jazeera and others are now reporting that the death toll in Syria today is at least 75, and that number has been rising as reports are received from around the country. According to Al Jazeera, "Cities and towns with reported protests on Friday include: Damascus, Homs, Hama, Lattakia, Tartus, Barzeh, Al Kiswah, Daraa, Baida, Baniyas, Jableh, Al Tabaqa, Al Til, Al Qamishli, Hasakah, Arabeen, Dayr az Zawr, Tadmur, Abu Kamal, Almoa'addamyya, Salmiyah, and Edlib." The concessions made this past week (lifting the Emergency Law, abolishing a Security Court, etc.) were accompanied by a government attitude that appeared to be, "Okay, we've reformed, so now stop demonstrating." I think today may prove to be some sort of turning point, but in which direction it's too early to say. The use of live ammunition and the significant death toll are not encouraging. 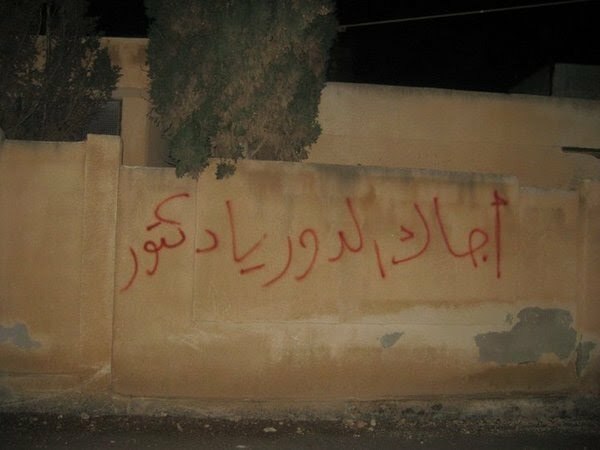 Is the conflict in Syria about sectarianism or not? Some of the best online experts have been weighing in. The best online experts have been having at it, and they're worth hearing. ostr importantly, you should watch this Bloggingheads discussion between Joshua Landis and Ammar Abdelhamid, with the latter offering some very interesting thoughts. It's close to an hour long, but you should watch it all. There is also a lengthy comments thread at Landis' Syria Comment:and from the indispensable Lebanon blogger Qifa Nabki. On both of those links you should pay attention to the lengthy and sometimes astute discussion threads. But mostly spend your time on the video. The border post of Wazin, on the Libyan-Tunisian border south of the Tunisaian town of Dehiba, has been taken by Libyan rebel forces. This is a spillover from the somewhat shadowy fighting going on in the Jabal Nafusa, the highland area of western Libya. Unlike Misrata and other coastal towns, where the world media are present in force (at some risk to themselves, as we are learning), the war for the Nafusa has been conducted largely offstage. Earlier this month I noted that there were reports of a scorched-earth campaign in the area, I also linked last month to a video of a town in the Nafusa proclaiming allegiance to the rebels, in which, after the proclamation in Arabic, they added a summary in Tamazight ("Berber"). The region has complained of forced Arabization and a ban on teaching Tamazight. In addition, like their fellow Berbers in the Algerian Mzab, many Nafusis adhere to the Ibadi sect (the link is to some 2009 Sunni-Ibadi clashes in Algeria). Ibadis are genertally found only in North Africa, Oman, and Zanzibar. If the rebels can hold on to the border, we may learn more about what has been going on in the Nafusa. Syrian Government Behind Spamming Opposition Twitter Accounts? Apparently a lot of spam tweets are clogging Syrian hashtags on Twitter, presumably a regime or pro-regime attempt to overwhelm opposition organizers. Detailed articles here and here offer many examples. T-Shirts available here; proceeds (5 Euros per shirt) go to the Red Cross/Red Crescent. Hat tip to The Arabist. UPDATE: better link for North American orders here. 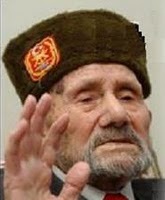 In 1975, a handful of Soviet military advisers were sent to Afghanistan; by 1978, there were more than 3,000; within a decade, well over half a million Soviet troops ha[d] passed through. US involvement in Vietnam also began with a small advisory mission in 1950. It expanded to 750 in 1955, and 16,300 by 1963. This reflects the inherent difficulties of long-distance regime change, and the excessive and usually disappointed hopes placed in modern air power. I know, history doesn't repeat itself; there isn't going to be a Gulf of Sidra Resolution . . . is there? A simmering dispute between Iranian President Mahmoud Ahmadinejad and the Supreme Leader, ‘Ali Khamene'i, peaked today when the Supreme Leader issued a statement insisting that Ahmadinejad must retain Minister of Information (Intelligence) Heydar Moslehi, who had submitted his resignation in a dispute with Ahmadinejad and the latter had accepted it. The Supreme Leader has the final say over security ministries, and if Ahmadinejad were to resist the order to restore Moslehi it could provoke a crisis. December, the mother of Mohamed Bouazizi, who sparked it all with his suicide, has declined to prosecute the police officer charged with slapping him while seizing his market cart. As a result, charges have been dropped. I wrote a bit yesterday about Qena in Egypt, because I assumed most of my readers were unfamiliar with that small Upper Egyptian city. But compared to other cities in the Arab world which are bleeding far more than Qena, we should also note the suffering martyr cities of Misrata in Libya, and Homs in Syria. I could add Manama in Bahrain, Sana‘a and Ta‘izz in Yemen, and other places, but let's do these two little-known (in the West) cities for now. Of the two I've only been in one (Homs, and that nearly 40 years ago), so this is second hand knowledge. Misrata (Misurata). Libya's third largest city, after Tripoli and Benghazi, has a district population of somewhat over half a million. See the Wikipedia entry. As everyone knows, its the front line at the moment, being hammered by the regime from air and land while the international coalition is trying to get foreign workers out and hold Qadhafi back. Its early history is spotty and it's not clear if it was founded in the Punic (Cathaginian) or Roman eras, but the name suggests the Semitic word for "East" (compare Mizrah in Hebrew, which was extremely close to Punic), so it may have been something as simple as the "eastern town" compared to Carthage. An older name, something like Thubactis or Tubaqt, is suggested in some sources. Homs. Syria's third largest city has been the hotbed of protest the past few days. It goes back at least to Seleucid times (see the Wikipedia link), but may be older: it not only lies on the ancient route between Damascus, one of the world's oldest cities, and Aleppo to the north, but is also on the Orontes (‘Asi) River, a key artery. In Hellenistic and Roman times it was known as Emesa, and with the Arab conquests this became (what it probably already was, roughly in Syriac), Hims or Homs. The great general who led the Arabic conquest of Syria, the "Sword of God," Khalid ibn al-Walid, is buried in a mosque in Homs. The Upper Egyptian city of Qena is usually known for being the access city for the ancient temple of Dendera, and for being about 40 miles north of Luxor, so that anyone traveling to Luxor (from Cairo or from the Red Sea resorts around Safaga via Wadi Qena, which reaches the Nile at Qena) goes through Qena to get there. It is famous for a distinctive clay water jug called the qulla, used throughout Egypt, and for being the center of most of Egypt's sugar production. Now it has become the new and somewhat ugly focus of the latest dramatic development in the Egyptian Revolution. After several days of upheaval, its newly appointed governor, a Copt, is stepping down. It is being reported as a case of Salafi Islamists driving a Christian from office, but it seems a bit more complex than that, regrettable though that aspect of it surely is. Last week the Egyptian government appointed 20 new governors (out of a total of 29, though two are being abolished) for the Governorates (basically provinces, muhafazat). Like most of their predecessors, most of the new appointees are either retired Army officers or Interior Ministry officers. Since many have been stalwarts of the (dissolved over the weekend) National Democratic Party or the State Security establishment, they are not all seen as an improvement. Several provinces have protested the appointments: the most common complaint is that provincial governors should be elected by the governorate, not appointed from Cairo. But Qena has gone beyond protest and is in the midst of a regional rebellion of its own. This is being widely reported in sectarian terms: the governor newly appointed, like his predecessor, is a Copt. Salafi Muslims and members of the Muslim Brotherhood want a Muslim governor. Those statements are true, and are part of the ugly dynamic evolving in Qena, but they're not the whole story. The new governor, Emad Mikhail (now said to be resigning), is indeed a Copt, and so was his predecessor.Copts had long complained that they were excluded from key jobs, especially the governorates. 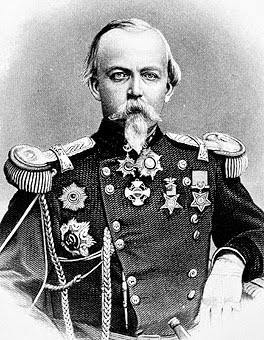 But Mikhail was also a police general. Many Copts in Qena are themselves said to have preferred his predecessor. Now, after the protests began, both Salafists and the Muslim Brotherhood joined the fray, trying to turn thisw into a sectarian issue, with some claiming only a Muslim could govern other Muslims. That added an explosive, incendiary element to the mix. Liberal supporters of the Revolution decried the Islamists' efforts to hijack (in their view) the protests. But as I already noted, many Copts had problems with the choice of Mikhail as well. BikyaMasr's Joseph Mayton, I think, catches the real crux of the issue: governors are still being appointed by an out-of-touch central government in Cairo, not by the people. The unfortunate framing of the issue in Christian vs. Muslim terms has distracted many, in Egypt and abroad, from the real roots of the discontent. Upper Egypt, the southern part of the country, is often the most turbulent part. Although Muslims and Christrians live together in many regions of the country, in Upper Egypt the Copts have a greater proportional strength and are thus more obvious than in the metropolis of Cairo. Conservative and traditional Islam is also enrenched. Adding to the tinderbox of this mix of Islamists and Christians is a tradition of clans and blood feuds, a legacy of centuries of neglect by centralized authority. Tribalism, or perhaps more precisely clan loyalty, mingles with a tradition of vendetta to make for an explosive mix. You may recall the Christmas killings in Nag Hammadi at Coptic Christmas a year ago: Nag Hammadi is in the Qena governorate, so religious tension is familiar there; the previous Coptic governor, Magdy Ayoub, was in office when it occurred. It should not come as a surprise then that a small segment of the Muslim population has taken to the streets to demand change. Arguably, their tactics and “style” of protesting is not ideal. They probably don’t want a Christian governor, irregardless of past history, but after Ayoub, and knowing the tensions that are present in Qena, the appointment of a Coptic governor would have only increased animosity among the groups, as we have witnessed. Democracy, however, would have alleviated all these problems. If governors were elected, the Muslim and Christian populations in Egypt would be forced to have an open dialogue. The vote would most likely have been in favor of the majority. Granted, any voting and majority rule must also be accompanied by minority rights, which should have been developed and implemented by now, but the Army appears willing to allow tension, violence and fear cloud the future of Egypt. What is happening in Qena right now very well could be a tipping point in the future of the “New Egypt.” Will these rural areas, home to a large Coptic minority fall into disarray and possibly civil war, or will the leaders of these communities step forward and demand a real change, one that leads to democracy in all of Egypt. Certainly the sectarian subtexts of the demonstrations are alarming; certainly too, sectarianism is not the only issue here, but long-smmering tensions, resentments, and feuds. Cries that the Islamists are hijacking the Revolution may be justified to some extent, but it is also important to understand that the issues in Qena go beyond the purely sectarian. Qena may be a reminder that Egypt is much bigger than Tahrir Square, and that the provinces have their own issues, not always understood by the central government in Cairo. When 2011 began. 4.7 million Egyptians had Facebook accounts. By April 1, the number was 6.65 million, fueled presumably by Facebook's reputation as one of the major engines of the revolutrion. In related news, supporters of the Re4volurtion have urged the Minister of Culture to invite Facebook founder Mark Zuckerberg to Egypt. The student at St. Claire School likes ballet and detective stories. Not knowing the magazine or the feature, I don't know how often "Remember this name" earned its title, but this time it did. 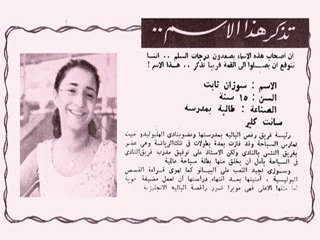 If you don't recognize the name Suzanne Thabet, she was the First Lady of Egypt for the past 30 years. The rank insignia is a bit blurry but it may be that of an Air Force Major General, or perhaps just a Brigadier; anyway, it's the young Mubarak shaking hands with Nasser. I'm amazed we didn't see more of this picture through the years. 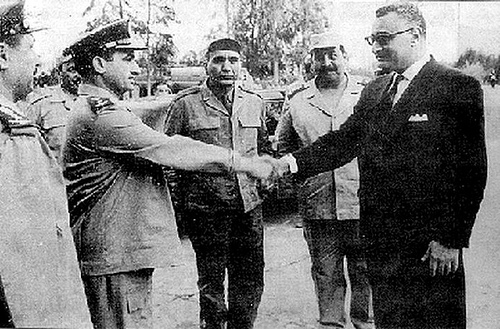 Mubarak on the right; Gen. Mohammed Fawzi center, after the 1967 Six-Day War. There are reports tonight suggesting that Syrian security forces are using force against the thousands of demonstrators who gathered all day in the central square of the Syrian city of Homs. Here's a BBC Arabic report and there are tweets from Homs claiming the use of live ammunition and that security forces are blocking access for ambulances. Those protests grew out of the funerals for as many as 30 people killed in Homs yesterday. The government has been calling the demonstrations an armed insurrection and calling on people to resist them. Things seem to be reaching a new level of confrontation in Syria. Multiple reports over at Josh Landis'. The Guardian over the weekend had a grim, pseudonymous report from inside Bahrain, depicting Sqaudi and Emirati troops harassing the Shi‘a of Baheain. It does not make for cheerful reading. 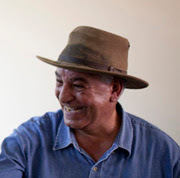 Since my posting late last week, Zahi Hawass has found himself in even more controversy, with an old court case resulting in a fine and a one-year sentence. But it now appears that the threat of jail time has been lifted, and Hawass has moved to defend himself on hiws website. Unfortunately, stories and rumors have recently been going around about this project. In October of last year, the design company had a photo shoot in the King Tut exhibit in New York City to create advertisements. Now, months later, stories about this photo shoot are circulating, claiming that it happened in the Egyptian Museum, and that they had a model sit on actual antiquities. I can say firmly that of course none of this is true. It was, in fact, shot in New York City, at the King Tut exhibit there and nowhere near Cairo, and the photographer and crew showed the utmost respect for the antiquities there. I have never been in contact with this photographer or his crew; they were hired by the design company, but I know they at no time touched any of the artifacts or used flash photography. They used replicas for some shots and also used Photoshop in some images. The museum’s security was with them at all times to ensure the safety of the objects. It makes me sad that people are willing to believe such rumors, and I hope that the clothing line’s critics will understand that the intention of this project is for the good of the children. So they weren't taken in the Egyptian museum, at least. Although Easter and Passover share a common origin, since Christians believe that Jesus was crucified at Passover, the feasts do not always coincide closely. Or, more precisely, the eastern and western divisions of Christianity do not agree on the date of Easter, Eastern Easter (oddly, using two Germanic words to define an eastern belief) coincides more closely with Passover than Western (Latin and Protestant) Easter does. But every few years, everybody comes together. This is one of those years. As a result yesterday was Palm Sunday or Passion Sunday for Christians East and West, and sundown tonight marks the beginning of Pesach or Passover for Jews. I wish all my readers who adhere to any of those traditions season's greetings anyway, whether or not you believe this night is different from all other nights. The coming week will be Passover for my Jewish readers, and Holy Week or Great and Holy Week for my Western and Eastern Christian readers (respectively: also Pascha Week for the Copts).Although Easter and Passover share a common origin, since Christians believe that Jesus was crucified at Passover, the feasts do not always coincide closely. Or, more precisely, the eastern and western divisions of Christianity do not agree on the date of Easter, Eastern Easter (oddly, using two Germanic words to define an eastern belief) coincides more closely with Passover than Western (Latin and Protestant) Easter does. But every few years, everybody comes together. This is one of those years. As a result yesterday was Palm Sunday or Passion Sunday for Christians East and West, and sundown tonight marks the beginning of Pesach or Passover for Jews. I wish all my readers who adhere to any of those traditions season's greetings anyway, whether or not you believe this night is different from all other nights. The coming week will be Passover for my Jewish readers, and Holy Week or Great and Holy Week for my Western and Eastern Christian readers (respectively: also Pascha Week for the Copts). On Hats: No. Surely Not. Is it possible? I know the colors differ, but could Qadhafi have ordered one of these? Could the two largest egos in North Africa be converging? And while we're on the issue of BIG QUESTIONS, note that profits from the Zahi Hawass hat (no royalties to Indiana Jones, no sir) were going to the "Suzanne Mubarak Children's Museum" in Cairo. It does have a Facebook page, but its website no longer works. I'm guessing it has a new name. Today, with NATO bombing Libya yet again, marked the quarter century anniversary of the US bombing of Libya on April 15, 1986, in response to a terrorist bombing in then-West Berlin. (Berlin was divided then, for the youngsters among you.) Since France and Spain refused overflight permission to the US, Operation El Dorado Canyon combined Naval Aviation assets with Air Force aircraft flying from the UK via the Strait of Gibraltar. One US F-111 was lost. Twenty-five years later, to quote Yogi Berra, it seems like "déjà vu all over again." Have a good weekend. As usual I will only post if events demand it. Zahi Hawass: Going Too Far at the Wrong Moment? "Pharaohs ruled then. He rules now." I've noted previously the instances of Zahi Hawass' tendency towards self-promotion overreach. But in an era when so many of the key figures of the old regime are in Tora Prison, one of the few to land on his feet in the transitional government (due to a timely resignation, allowing his recent Second Coming), this may not be the best time for Hawass' trademark self-promotion. And by "trademark," I do not mean the term figuratively. 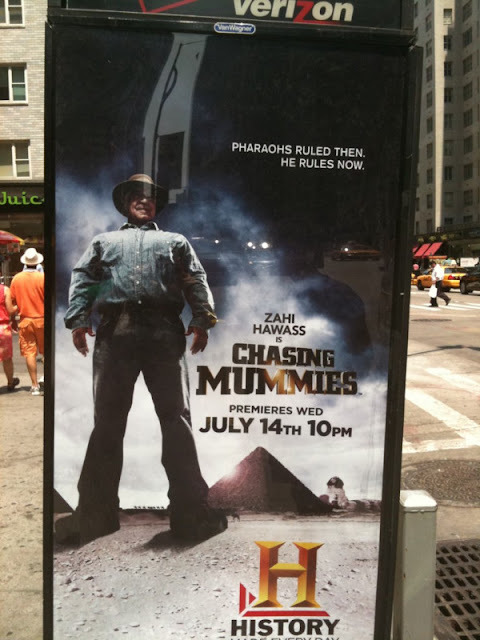 Zahi Hawass' name has been trademarked. Trademark data is here. 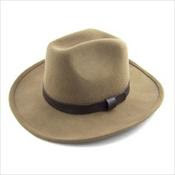 Having already franchised his signature hat, he now has apparently also franchised his name for a line of men's clothing, Egypt's tweeters have been having fun with this today, but also a bit of outrage at the fact that some of the portfolio pictures were taken with the King Tut artifacts from the Egyptian Museum. 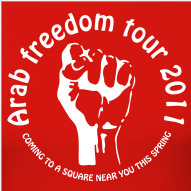 The trademark seems to be held by an organizer of the recent Tut tour in the US. And the line will have a shop at Harrod's sometime this year. Most of the commentary so far has been on Twitter, but Zeinobia has done a blog post on it. As she notes, to take photos in the Egyptian Museum you need special permission of the Minister of Antiquities. Hawass was probably given permission because — oh yes, he's Minister of Antiquities. I know, when President Obama has one of your hats (right), and you have your own show on the History Channel, when you're not being on the Discovery Channel, the National Geographic Channel, and, if any time is left over, showing up to be Minister of Antiquities, it can be easy to overreach a bit. I've noted in the past that Hawass' high profile has probably helped increase interest in Egyptology. But at the moment, with Egypt on alert for conflicts of interest, might not be the time to open that branch at Harrod's. The Twitter commenters are having a field day (Check out #Egypt; #Antiquities; and #Jan25 as well as the obvious #ZahiHawass for some of the commentary. I do hope he realizes the rules have changed, and serving in the Cabinet while franchising yourself (via using the antiquities as part of his branding) may not sit well with the new Egypt. Although the interrogation of the Mubarak family has gotten all the attention outside Egypt, the net is gradually widening as more and more senior officials of the former Cabinet and former Ruling Party are being investigated for corruption and other related charges such as misappropriation of public funds. Most are held at Tora (Tura) prison, notorious for holding political prisoners under the old regime. Jokes are spreading about whole cabinet meetings of ex-officials now being possible at Tora. Latest is word that the former Minister of Petroleum, Samih Fahmi, is being investigated. The former Interior Minister, Habib al-‘Adly, was one of the first to be arrested back in February. Industrialist Ahmad ‘Ezz, a key figure in the ruling party and ally of Gamal Mubarak's. Safwat Sharif, head of the Shura Council (Upper House) and key figure in the ruling party for decades, is also jailed; so is the former Presidential Chief of Staff, Zakaria ‘Azmi. 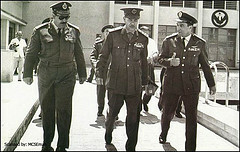 The former Prime Minister, Ahmad Nazif, was detained just before the Mubaraks. The former Ministers of Tourism, Housing, and Industry and Trade are also either jailed or outside the country, and the former Finance Minister under investigation. At this point it is hard to know how the fall of the old elite will finally conclude. The decision to go after the Mubaraks has cheered many of the young revolutionaries but worries others who might have preferred a Reconciliation model (a la South Africa) instead of vengeance against a man about to turn 83. There is an unspoken limitation to the investigations so far. They have penetrated into the senior Cabinet, the Mubarak family itself, and even the powerful internal security establishment. But, despite the nominal independence of the Prosecutor General's office, they have not touched the Armed Forces, which, however, has extensive economic investments and influence as well. As long as the ruling Supreme Council of the Armed Forces has anything to say about it, the Armed Forces remain off limits. All I can do is speculate: since singer Paul Simon is on a revival concert tour, perhaps Brother Leader felt a need to show who has the real claim to be "Still Crazy After All These Years." Was it a pep rally? Why is he pumping both arms? Why are they driving so fast? It's the strangest thing since the bizarre umbrella appearance in February (and see comment here). Oh, and the hat. Don't ignore the hat. With so much happening it's been some time since I've said anything about Iraq. One development over the past few days probably deserves comment: the recent clash with and ultimatum to the People's Mujahidin Organization of Iran. The PMOI, also known as the \Mujahdidin-e Khalq (sometimes MEK), which has had a base at Camp Ashraf in Iraq since the 1980s. The Iranian exile group enjoys the rare distinction of having been called a terrorist group by both the US and Iranian governments. Patronized by Saddam Hussein, the PMOI fought alongside Iraqi forces in the Iran-Iraq war, and are deeply hated by many Iranians, including those not fond of the present government. With the fall of Saddam and the political ascendancy of Shi‘ite parties in Iraq, they have been in a vulnerable position, generally confined to their camp. US forces in Iraq never quite figured out what to do about them. The recent violence broke out when Iraqi forces moved into the camp and were met with resistance; the PMOI claims Iraqi troops opened fire, killing 34 people. In response to the violence, the Iraqi govrnment has announced that the PMOI will be disbanded and must leave Iraq by the end of the year. The PMOI has always waged an active public relations campaign in the West, and its supporters abroad, especially in the UK, have rallied to its defense. But despite some supporters in the US Congress, successive US Administrations have continued to treat it as dangerous. The Iraqi ultimatum was read by some as hinting that if the PMOI did not leave Iraq on its own, it would be forcibly expelled: the implication being it might be turned over to Iran, which has pressured the Maliki government to neutralize the PMOI. Its members could face execution in Iran. The 77th Patriarch of the Maronite Church, Bechara Rai (also transliterated Rahi; the name is actually Ra‘i الراعي ) is visiting the Vatican where his election in March will be confirmed by Pope Benedict XVI. He replaced Cardinal Nasrullah Sfeir, who announced his retirement on turning 90. The importance of the Maronite community in Lebanese politics means that the Patriarch has considerable political influence; some comments he made on cabinet appointments have already drawn fire from the Free Patriotic Movement's Michel Aoun, also a Maronite. Rai, the former Bishop of Jbail and Secretary of the Maronite Synod, is 71 and was elected last month to replace Sfeir, who retired voluntarily. Meanwhile, in Syria . . .
Syria has been gettting hotter in the last few days. As I've often noted, I'm one blogger with a day job, and I can't comment on everything at once. Yesterday Aleppo was protesting. Baniyas and Latakia have seen a lot of trouble lately. Josh Landis — whose blog is essential if Syria is your main interest — raises some questions about reports that Syrian Security Forces fired on Syrian soldiers for refusing to attack demonstrators. It does appear the Western reports are exaggerated or just based on a misunderstanding or, perhaps, deliberate misstatement. On word that the Mubaraks were being detained and subject to interrogation, Egypt's stock index reversed a four-day decline and rose today. Do you suppose that 88.6% of the vote in the 2005 election was, perhaps, inflated? Word that Husni Mubarak and his two sons will be held in 15 days detention while being interrogated on corruption and other charges is drawing a lot of attention today. Mubarak himself remains hospitalized in Sharm al-Sheikh, but the sons have reportedly been transferred to a pri8son in Cairo. The Egyptian legal system permits detention without charge for 15 days during an interrogation. There seems to be a lot of skepticism about how far the ruling military council will pursue the matter (as well as about Mubarak's hospitalization yesterday). But the announcement does, at least temporarily, defuse demands that the Mubaraks be prosecuted. There are negatives too, however. I can see how other beleaguered heads of state (Salih in Yemen for example) could see the potential of prosecution as one reason not to step down. Ben Ali in Tunisia avoided the issue by fleeing to Saudi Arabia, but Mubarak, by remaining in Egypt, was gambling the Army would protect him. It still may do so; no charges have yet been filed. Fiqi for the Arab League? The Arabist deconstructs the "new" Egyptian government's nominee for Secretary-General of the Arab League, Mustafa al-Fiqi. Except for the post-Camp David years when Egypt was ostracized from the League, the SG has always been an Egyptian. The sole non-Egyptian was Tunisian Chedli Klibi in 1979-1990, when Egypt was in the Wilderness. But, ineffectual as the League of Arab States may be, it is still a major symbolic force, and Egypt wants to maintain its dominant role. Current Secretary-General ‘Amr Moussa has already announced his candidacy as President of Egypt (and he may well be emerging as the Establishment favorite). Other countries (Saudi Arabia, Qatar) would love to claim the job, but so much is in flux in Egypt, it is hard to rate the chances. Fiqi is hardly a grass roots revolutionary candidate, however. Husni Mubarak was hospitalized in Sharm al-Sheikh today, the very day he was supposed to be interrogated on misappropriation of funds. It's too early to tell if this is real or an illness of convenience, but he has been rumored to be seriously ill for some time, and turns 83 next month. More as we know it. Since I've told the US Civil War vets' story at length before, I'll refer you to the longer version there. To persuade you to click through, here's the short version. 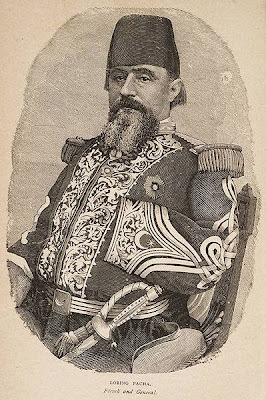 The Egyptian Khedive Isma‘il, builder of the Suez Canal, modernizer of Cairo, and so lavish in his spending he eventually spent Egypt into debt that led to British occupation under his successor Tawfiq, was building up the Egyptian Army at the time the US Civil War ended. 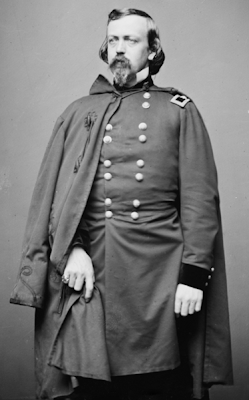 He needed foreign military men, and was distrustful of the British and French, suspecting them (correctly of course) of having ambitions in Egypt, but a lot of experienced American officers were suddenly available once the war ended. It made little difference to the Khedive whether they'd worn blue or gray, so he hired veterans of both. Thus Brigadier General Charles P. Stone (left) of the Union Army became Lieutenant General Charles P. Stone (Stone Pasha), Chief of Staff of the Egyptian Army (second photo). There's another irony in all this: though the Khedive ultimately bankrupted the country, one of the things that gave him his first burst of prosperity to embark on his great building efforts was the Union blockade of southern cotton exports during the war. As a result, Egyptian cotton suddenly surged to dominate the world market. Until, of course, 1865. 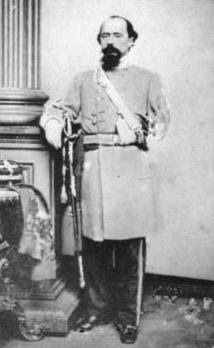 In all several dozen Americans served in Egyptian service, and in its campaigns in Sudan and elsewhere, and while they mostly got on fairly well with their former enemies now in the same uniform, there was one duel between ex-Yanks and ex-Rebs fought in Alexandria, surely one of the last hostilities of the war. For the fuller version of the tale, click the link above. As the US marks a century and a half since its great trial by fire, I thought it worth again remembering the men who also served another flag in the decades that followed. The whole adventure ended when the British moved in in 1881-82. You'll find the longer story at the link above. 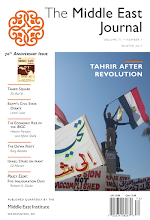 The Tahrir Protests: The Jacobin Temptation? Did Israel Stage Air Strike in Sudan? He's Baaaack . . .